Product information "RHAPSODY OF FIRE - Dark Wings Of Steel"
This band set standards for a whole genre: Italian Symphonic Power Metal gods RHAPSODY OF FIRE started their career in the mid 90’s (first under the banner of “Rhapsody”), their debut album “Legendary Tales” (1997) made a huge impact on the scene. The band displayed a mixture that has never done before: classic Power Metal was combined with baroque/classical elements, huge choirs and orchestrations – a unique sound that gave a new dimension of epic (almost movie soundtrack-like) feel to the genre and made the band a worldwide fan favorite. The first four albums alone exceeded sales of 1.000.000 copies and put Rhapsody on top of the best-selling and most popular Metal artists worldwide. Due to legal issues the band had to rename from Rhapsody to RHAPSODY OF FIRE in 2003 but continued to release their “Symphonic Epic Hollywood Metal” constantly. In 2012, band leaders and main composers Alex Staropoli and Luca Turilli decided to go separate ways: while Luca founded “Luca Turilli’s Rhapsody” to start a new endeavor even more exploring movie-like sound landscapes - Staropoli, Fabio Lione, Alex Holzwarth, Oliver Holzwarth and new guitarist Roberto De Micheli continue with RHAPSODY OF FIRE, continuing in the more classic and heavy direction that the fans loved so much. After the “Live - From Chaos To Eternity” live album, released earlier this year, RHAPSODY OF FIRE now finally unleash their highly-anticipated new studio album “Dark Wings Of Steel”. Most of the songs have been written by Alex and Manuel Staroli, lyrics were penned by Fabio Lione. Expect an overwhelmingly strong album that recaptures the spirit of masterpieces like “Symphony Of Enchanted Lands” and “Dawn Of Victory”, while not denying some fresh new elements. 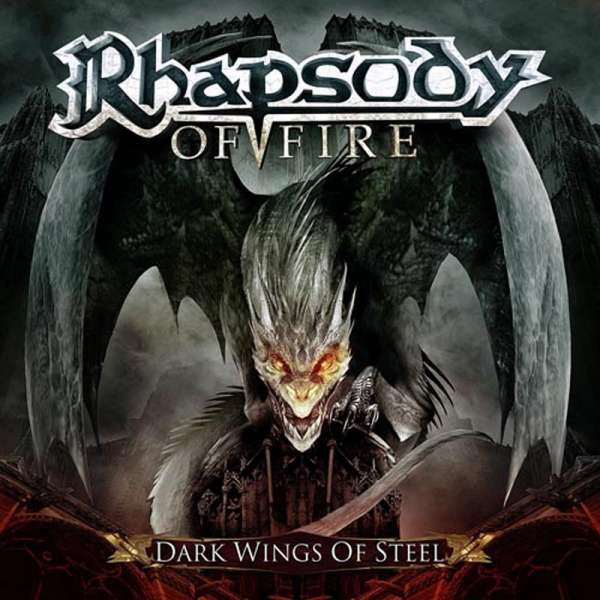 Related links to "RHAPSODY OF FIRE - Dark Wings Of Steel"
Customer evaluation for "RHAPSODY OF FIRE - Dark Wings Of Steel"